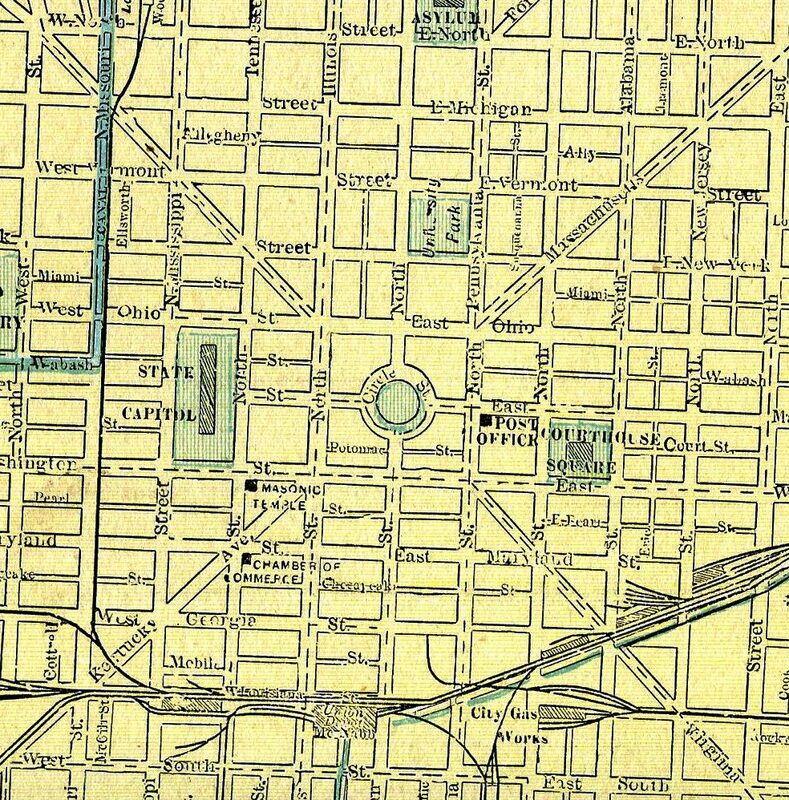 Daisy McKay was only 16 years old when her parents broke ground on a fine brick mansion at the corner of 13th and Broadway. The new Statehouse was under construction at the time, and her father purchased quarter-sawn oak woodwork from the same firm that furnished it for the capitol, along with quantities of cherry and black walnut. Then Horace McKay did something a little unusual with the expensive wood. He gave his teenage daughter a knife and chisel and let her have at it. But Daisy was not an ordinary teenager, and Horace McKay was certainly not an ordinary 19th century father. A fervent believer in equal rights for women, Horace had married fellow progressive Martha Nicholson in 1864, while serving as Captain of the 15th U.S. Colored Troops. Together they founded the Indianapolis Suffrage Society in 1872, although years later Martha would say that Horace was really the driving force behind the couple’s work to allow women to vote. In fact, although she had spent much of her life advancing the role of women in civic and political life, Martha herself favored restricted suffrage, with potential female voters required to pass education and moral tests before they could cast a ballot. Originally from Ohio, Horace and Martha McKay moved to Indianapolis shortly after the Civil War and became friends with Ovid Butler, who shared their progressive views about women’s rights. Butler had been instrumental in establishing North Western Christian University (later renamed Butler University), which was the first university in the United States to admit women on an equal basis as men. When Butler platted his farmland in the late 1860s, the McKays bought a corner lot at 13th and Broadway, and waited for the right time to build a house. As their family grew, the couple’s influence in the city’s intellectual, civic, religious, and political circles also continued to expand. Cornelia McKay – called Daisy by her friends and family — was the second of the couple’s three daughters and was exposed at an early age to leaders in the suffrage movement. Thus, it was no surprise that when Daisy saw a wood carving exhibition at the Cincinnati art museum at age 10, she did not hesitate to pick up a chisel and embrace an art form more typically favored by young men. Daisy’s love of wood carving remained strong for the remainder of her life, which tragically ended at age 23. 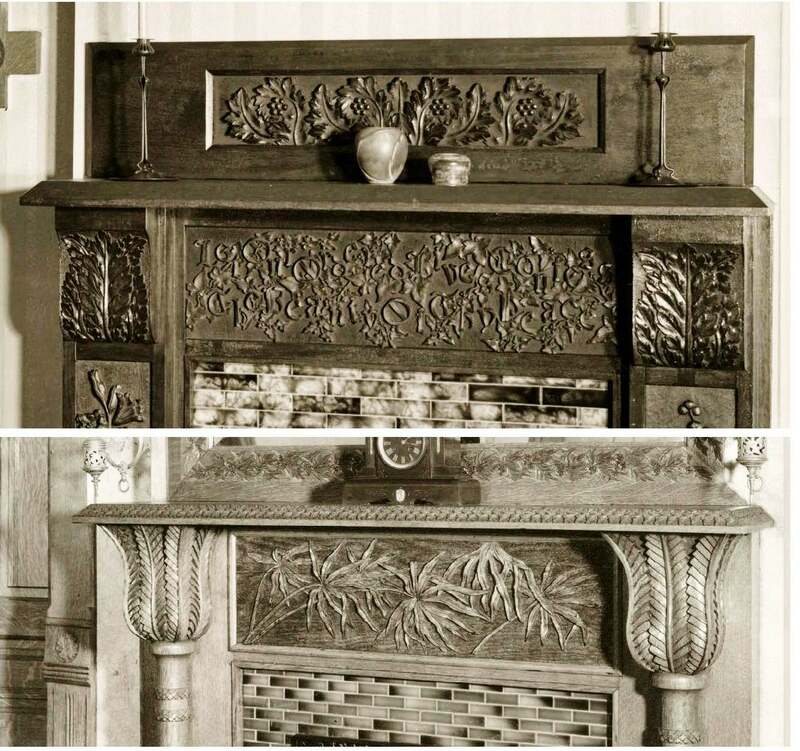 When she died on August 12, 1893 after a long illness, she left behind her grieving parents and sisters, along with three remarkable mantels that she had carved for their home on Broadway. Daisy’s death was a deep blow to the close-knit family. In the year following her death, the McKays published a memorial book featuring tributes from friends and prints of many of Daisy’s sketches and watercolors. Family friends James Whitcomb Riley and Meredith Nicholson penned poems in honor of the young artist, with Nicholson’s poem honing in on the marks that Daisy had left with her carving knife. Secrets beyond our crude belief. Might be made strong and permanent. City directories show that after Martha McKay died in 1934, the house was vacant for long periods until 1941, when it was turned into a rooming house. After most of the adjacent houses were demolished to make way for the interstate, the home’s condition deteriorated. Finally in the late 1970s, the utilities were turned off, and the house was boarded up. Over the next 40 years, the once-gracious porches fell victim to decay. Vandals invaded the vacant home, stripping away light fixtures and other potential valuables. And at some point, the house that Daisy helped build was literally dismantled. 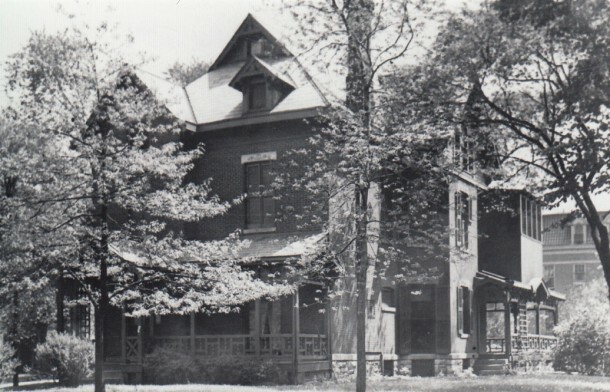 Photo from the IHPC archives, showing the McKay home with its porches still intact. In recent years, the McKay house has changed hands several times after its new owners discovered they lacked either the resources or the expertise to tackle the necessary restoration. 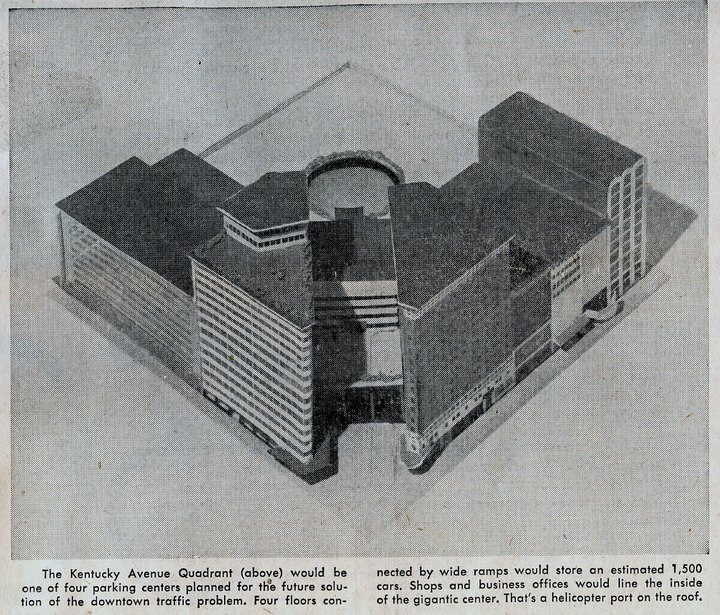 But earlier this year, the long-vacant landmark was purchased by Kyle and Megan Robinson. As the co-founder of a development and construction company, Robinson is familiar with the challenges of restoring an old building. A new roof was installed in early June, and the structure has been stabilized. Interior work is now underway, although the boards are expected to remain on the windows for a few more months as the restoration progresses. If all goes as planned, Kyle, Megan and their 3-year-old son, Truman, will move into the McKay house in October. Kyle Robinson reports that the McKay house is in surprising good shape, despite years of neglect. Most of the home’s original woodwork remains intact. The grand staircase still stands, and intricate rosettes that were hand-carved by Daisy grace doorways throughout the house. The home even has most of its original doors. 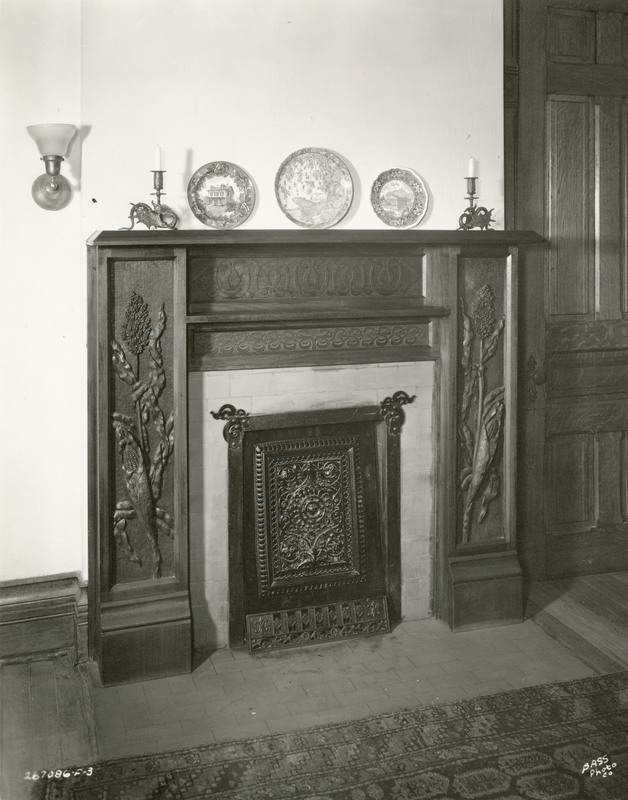 But the mantels that were hand-carved by Daisy have long-since vanished. I am intrigued and a little saddened by the mystery of the missing mantels. Perhaps Daisy’s handiwork was rescued by her sister Helen after their mother died and before the house was sold. An artist herself, Helen was married to T. C. Steele’s son, Brandt. She would have appreciated the intricately carved mantels for both their beauty and their sentimental value. It’s also possible that the mantels were removed during the 40 years when the McKay’s home served as a rooming house, and were sold to buyers who remain unaware of the story behind the carvings. I know it’s unrealistic to think that the current owners would remove Daisy’s magnificent mantels from their own homes and return them to the house on Broadway. But wouldn’t it be nice if they knew the history of the mantels and from time-to-time thought of the young girl who carved them? 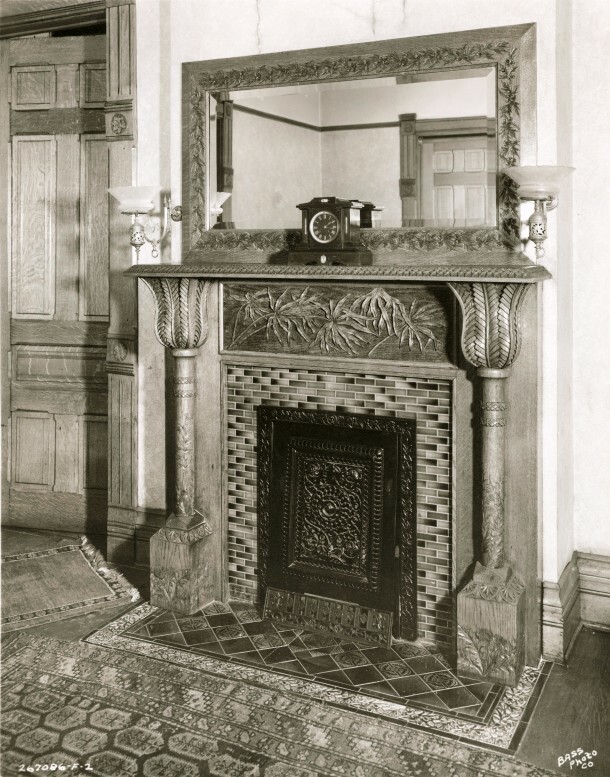 So I have one question for HI readers: Have you seen these mantels? Let me know. And thanks for reading HI. 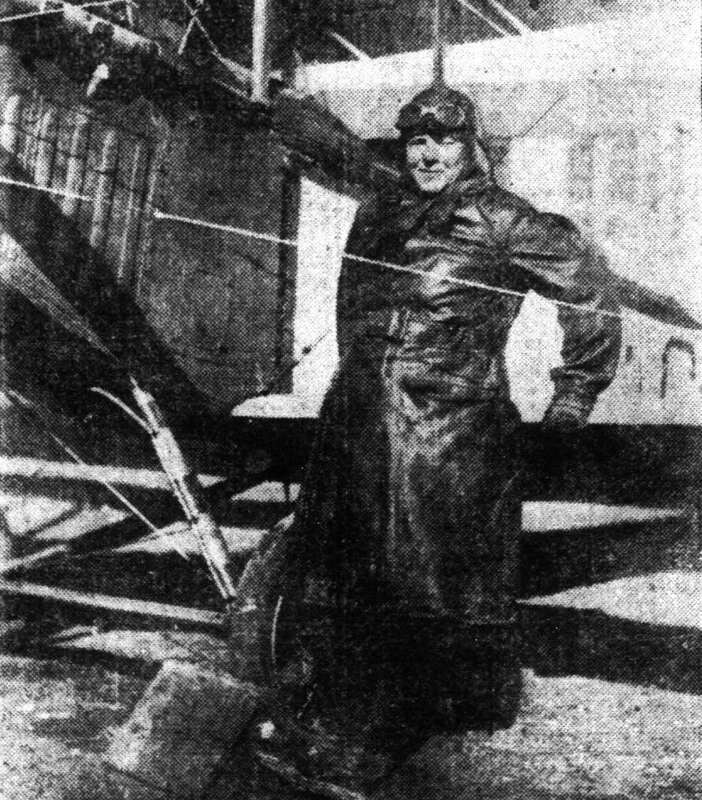 For more information about Cornelia “Daisy” McKay and her family, check out the Brandt & Helen McKay Steele collection at the Indiana Historical Society. Among the many treasures in the collection are Daisy’s journals, letters from her friends, photographs of Daisy from throughout her short life, and her childhood autograph album signed by abolitionist Frederick Douglass. Libby, thanks for another fantastic article. The photographic history along with the history of this young artist are fantastic. As a neighbor, I have prayed that this house would eventually get an owner that would bring it back to the fantastic home that it once was. The initial work being done is fantastic and it would be a miracle if some of these original works of art were returned to the house. Let’s hope the right person reads this article and knows where some of these items might be. Rick Patton, 1508 Broadway. Whaat an amazing article Libby and no, I don’t know where the fab mantle is. But your mention of Brandt Steele made me want to share–and perhaps let you stage a revolution to restore–a huge Brandt Steele pediment that I inadvertently caused to be desecrated when all I wanted to do was save and preserve it. Here is the story: : For many years wonderful auction house owner Jim Marsh moved countless treasures through his auction house at Highland and New York st. and I “browsed” almost weekly in advance of his sales. He was used by most of the banks and “high end” attorneys and handled most of the VIP estates….so wonderful things came into and went out of his huge store room—all but one. It was a huge almost to the ceiling 20’s type carved oak pediment—I am no good at measurements but envision what would be bigger than a fire place. It came in after having been first at Lyman’s famed little art store (it may have been created for there or maybe acquired) and then later when that store’s artifacts were moved to L.S.Ayres to create a department, it was incorporated into the architecture. It was oak with carved and multi color stained carvings–I can see it but cannot describe it. But somehow one day I asked Jim why it was there so long, not up for sale and he gave me some of the background. Again, I am no good on time lines or dates–but when the present AUL building was under construction, one of my then-PR clients out of NYC had a local office that was going to take over an entire floor (maybe 21st but not sure) in the new building. And some high priced decorators and architectural consultants were busy spending too many $$$$$$$$$$$$$$$$ BUCKS for too little results–from a PR standpoint at least. One of my suggestions was (because of a downturn in state economy) that the office embark on using all Indiana products–desks,rugs,artwork etc.—and it paid off in lots of ink and media use. And, suddenly, a lightbulb! I arranged for the purchase of that original Brandt Steele pediment to form the exterior entrance into the CPA firm–a preservation and PR coup. But good ideas sometimes have bad results. When my back was turned with other clients, some decorator decided to “PAINT” –so that it looked like new!!!! You can’t un-break an egg so the last time I looked, long after that firm merged into others and moved on, the now-desecrated and anonymous Steele carved art piece was still there. I can find out if it is-if you have any interest in back tracking it—maybe even a restoration project???? Love your postings. 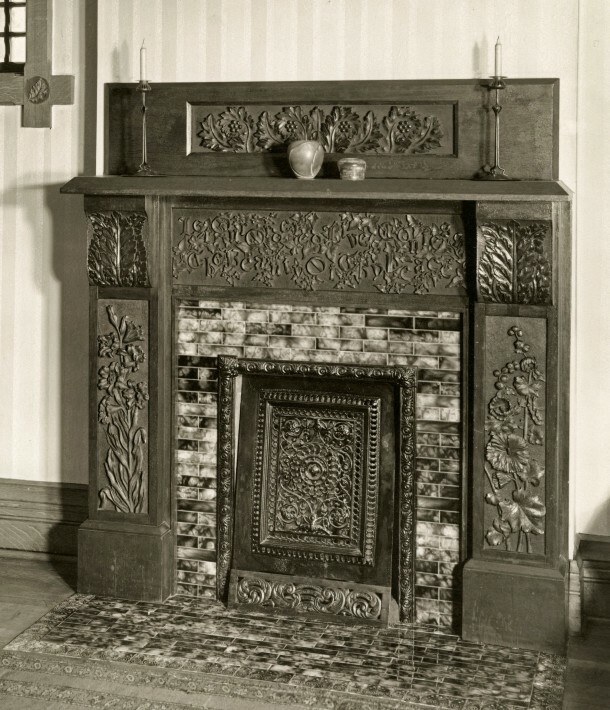 I loved the article about the missing mantel. 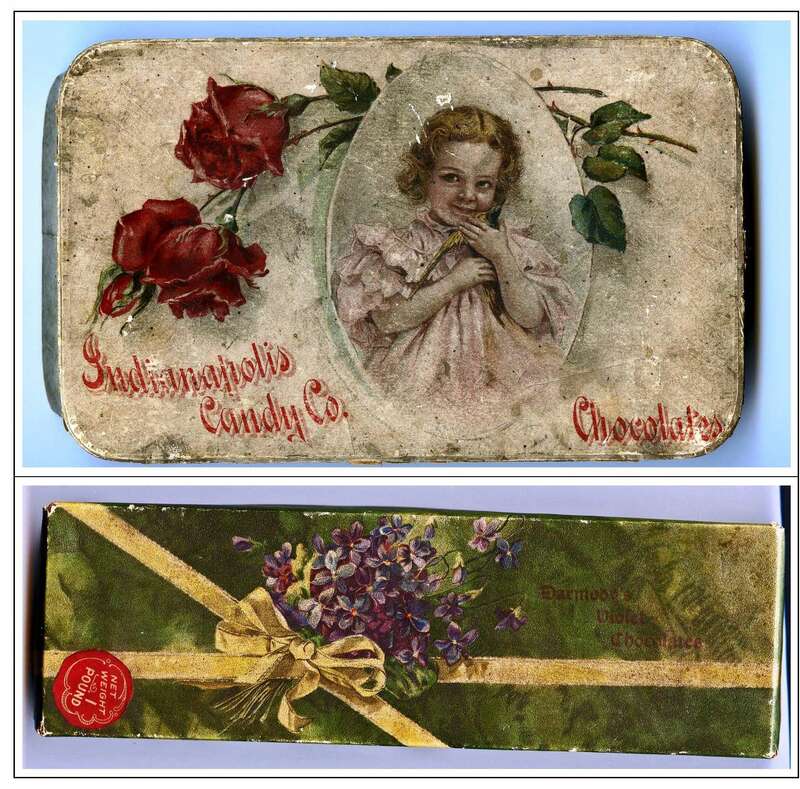 I love anything to do with history of anyplace, be it Indianapolis or any place.